This week's edition is dedicated to the G.O.A.T. A man who has paid his dues for years in this rap game. 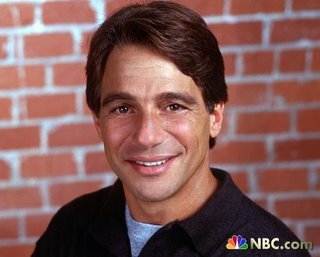 There was a time when you couldn't get a record deal if you didn't shout out big Danza in a song... People today rarely pay homage to the old school... They don't respect those that put it down well before them. Your choice cuts for this Friday, October 17th are all songs name dropping the man who brought Samantha Micelli into this world. Fu-Schnickens featuring Phife Dawg - "La Schmoove"
"Just come inside your jam and witness who is boss/and it won't be Tony Danza nor Diana Ross". WHAT! Let em know Phife!! The Schnickens loved a guest referencing Tony Danza so much in their song, it was written as part of Shaq's contracted guest appearance on "Can We Rock" that he mention the great TD as well. Let it be known! This is actually one of my favorite Roots songs.. I probably have as good a shot seeing them perform this live again that I do seeing Common perform "Soul By The Pound". This Danzism is courtesy of mister Malik B: "Hip Hop extravaganza/Tell your man I'll swamp him with a stanza/Now who's the boss?/Not Tony Danza". POINT TAKEN! Pete Rock & CL Smooth - "All Souled Out"
"In the poconos, playin' dominos/Foes who rose caught a broken nose/Who's the boss/Not Tony Danza/something something something Bonanza"
See you at Method Man and Redman tonight! I fucks with Respond/React. And Phife. And Pete Rock, as long as he's not rapping. sharebee.com, huh? RDJ must investigate. Love me some Pete Rock & C.L.!!!! K-Dot: what I wouldn't give to see you do "True FuShnick".